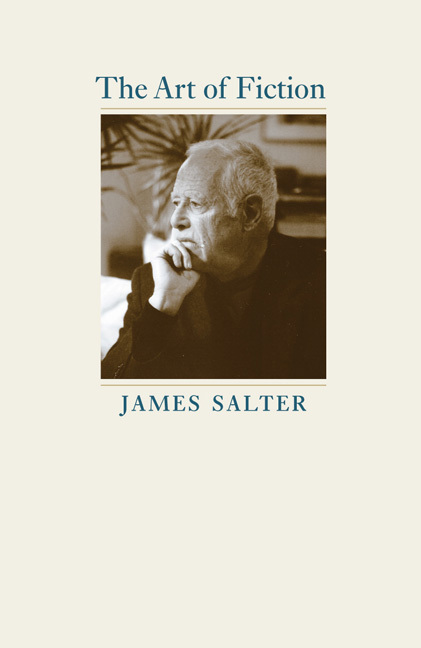 Celebrated in the American fiction canon for his precise, confident prose and stylized mid-century stillness, the late James Salter unquestionably deserves a book like the University of Virginia Press’s The Art of Fiction. Compiling three lectures Salter gave during a residency at the college in 2014, The Art of Fiction provides readers with an inspiring transcription of one of contemporary literature’s greatest authors speaking candidly about his personal and professional endeavors in writing. The book is not only an essential supplement for fans of Salter but an enlightening read for all. It’s a rare writer who doesn’t experience rejection at one point or another and the book was after all not anything sacred, thought it had been sacred to me. But this is philosophically speaking and was of no use at the time. Philosophy is a slow-acting cure. To hear Salter describe Flaubert saying “he wanted to write objectively, exactly, precisely, withholding metaphor and moral judgement” opens the clouds a little bit: this sounds exactly, precisely like what Salter was trying to achieve in his novels. Not every room overlooks the river. There are thousands of ordinary words that make up a book, just as in an army there are many ordinary soldiers and occasional heroes. But there should not be wrong words or words that degrade the sentence or page. You have to have a taste for what you’re writing. You have to be able to recognize when it’s gone bad. Wise words for an aspiring writer, but there’s something more important underneath: Salter teaches us, albeit indirectly, that we must have an ear for what we’re reading.